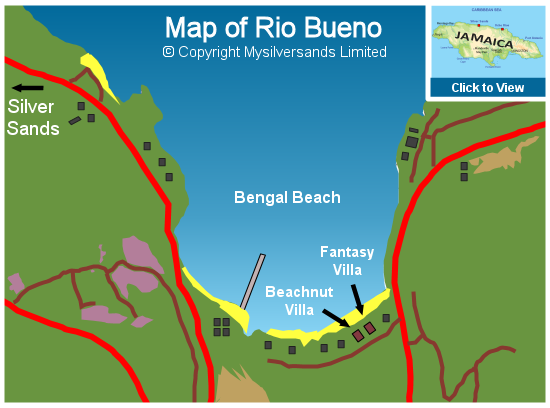 Image 1 of 17: Rum Jetty sits on its own private beach within the Silver Sands Estate. 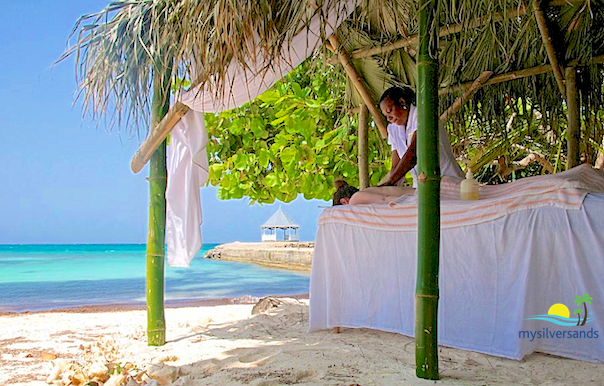 2 of 17: Have a masseuse come to Rum Jetty to give you a treatment in its very own Massage Hut. 3 of 17: The place to chill. 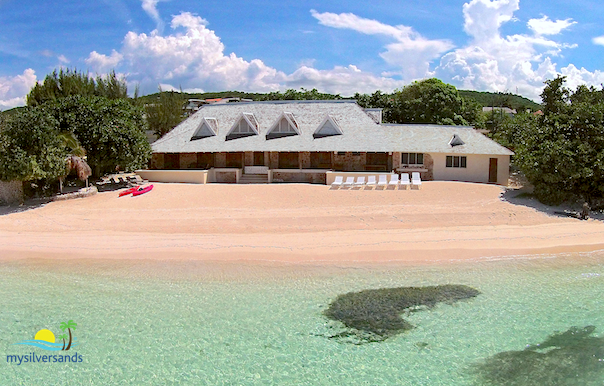 As close to the sea as you can possibly want to be. Spectacular sunrise to sunset views! 4 of 17: Dine on the Verandah, with a lovely view of the gazebo on the Jetty. Indoor dining also available next to the kitchen. 12 of 17: A huge map of Jamaica adorns the Living Room. 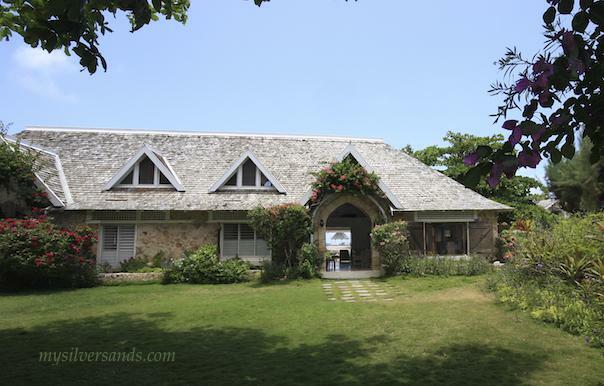 13 of 17: Wide double doors open to the garden on the South side of Rum Jetty. 14 of 17: Opens to lush garden, enclosed by a cut-stone wall. Note the large dormers which ventilate the attic conversion and allow the land breeze to blow through at night. 15 of 17: View of Rum Jetty from the Jetty. 16 of 17: Dining on the verandah at sunset. 17 of 17: Aerial view of Rum Jetty on the Western side of the Jetty. 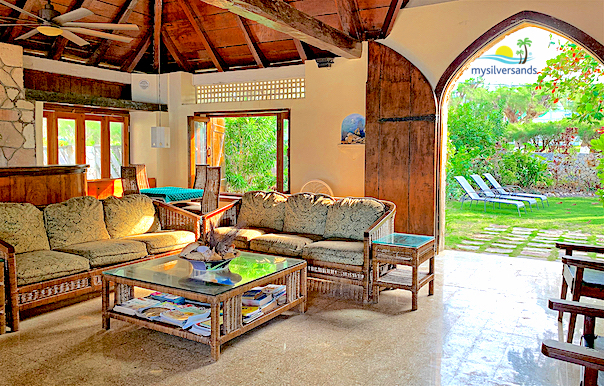 Rum Jetty is a large 6 bedroom family beach house that sits on its own private white sand beach! 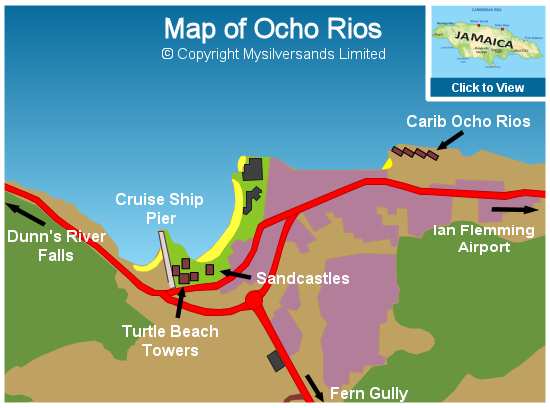 In the 1800s, it was a rum and sugar warehouse. 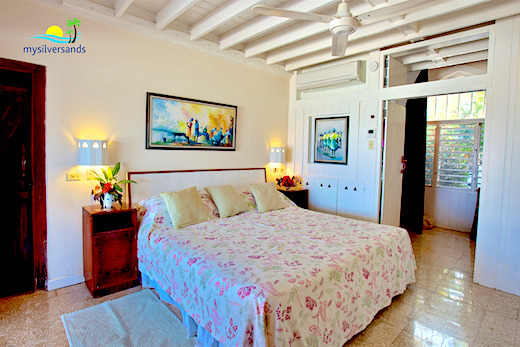 Rum Jetty overflows with charm and character. 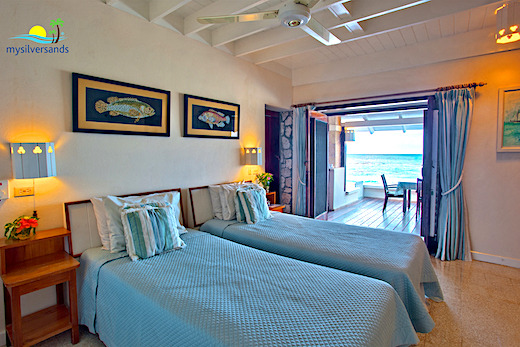 Enjoy superb views of the Caribbean Sea from every room, especially the long verandah lining the front of the house. 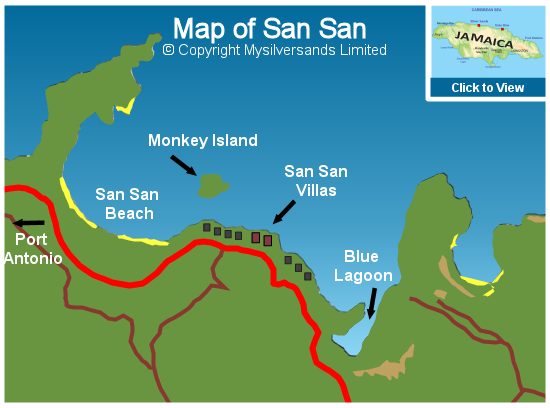 The main Silver Sands swimming beach is just a few yards East, across the Jetty. Now with air-conditioned bedrooms. 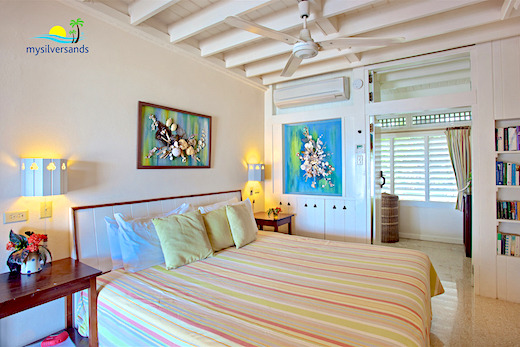 All bedrooms, the living room and the verandah are equipped with ceiling fans. Portable pedestal fans are also available. 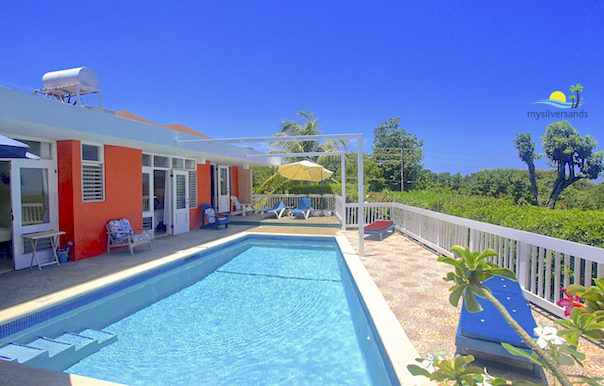 Ideally suited to a large family, a couple of families, or a group of friends who wish to enjoy an old-fashioned beach vacation. 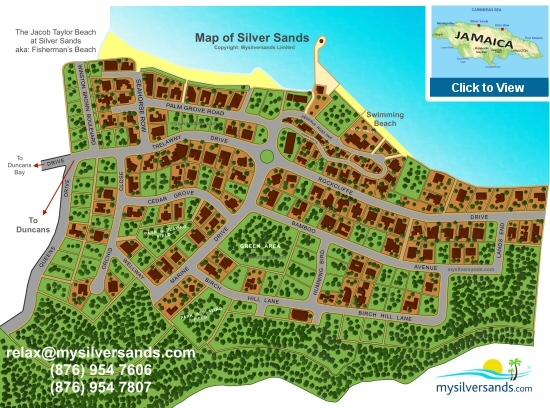 Two bedrooms at beach level each have a private bathroom area with shower, toilet, wash basin and mirror en suite. 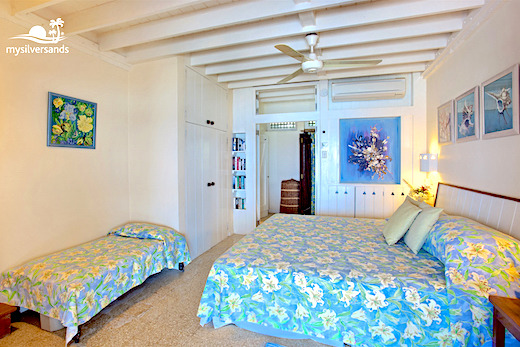 The other two bedrooms at beach level have private toilet, basin and mirror en suite, and share a shower with the adjoining bedroom. 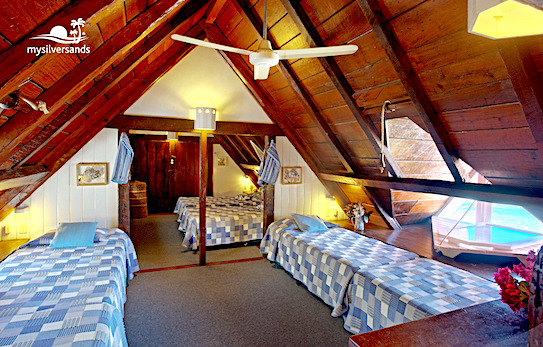 The attic conversion features a cozy bedroom with twin beds, a dorm bedroom with six single beds, a toilet, shower, and double wash basins. 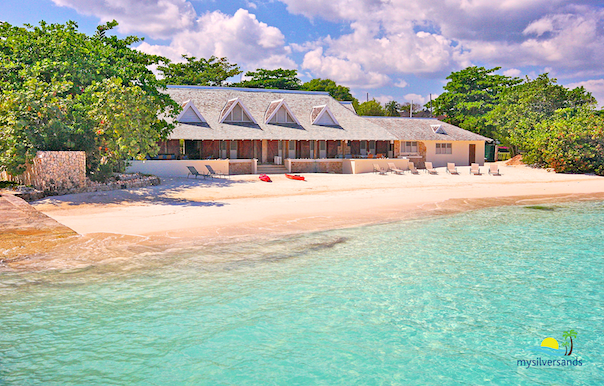 Enjoy a massage in the thatched hut on the private beach, just a few feet from the water's edge. The South side of the house has a lovely garden enclosed by a cut-stone wall and features an arched entrance also constructed from cut-stone. Enjoy outdoor dining on the verandah. Fabulous bar in the living room which is the social centre of the house. 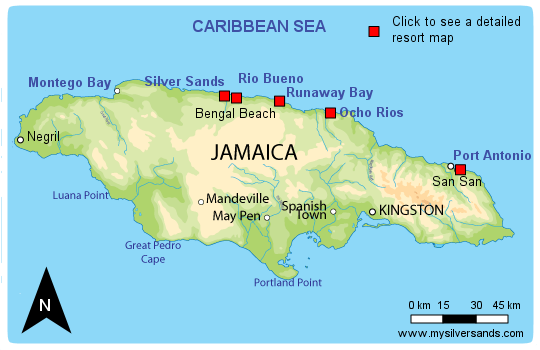 A huge map of Jamaica decorates a living room wall. CD player, AM/FM radio and double cassette stereo installed in the living room. There is no TV. Child-friendly with 1 Pack and Play Crib. All BEDROOM windows and doors are insect screened. Staff on duty between 8 am and 8 pm. Staff service ends at 8 pm. Events and celebrations (weddings, parties, etc. 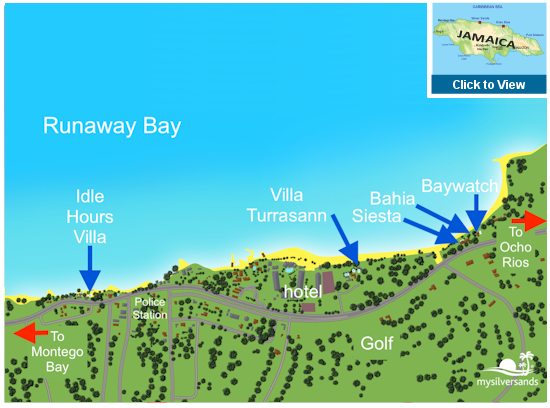 ), involving guests not booked at Rum Jetty, require prior approval of the Management. 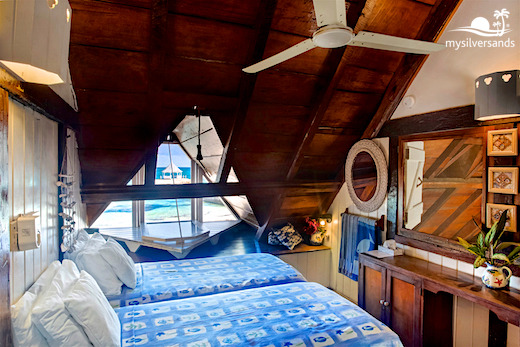 Rum Jetty costs from $449.00 to $1229.00 per night. If available, you may book this property for periods beginning 2 days from today.